Update: There is no solution. After I got the .qtz file into /Library/Compositions, it didn't work, and then I found out that third-party visualizers have been disabled as of iTunes 12.6. It may still work on previous iTunes versions, but I do not know. On 10.12.6, I am trying to install an iTunes visualizer, but there's no way to progress past this screen. The same error occurred regardless of the destination specified. 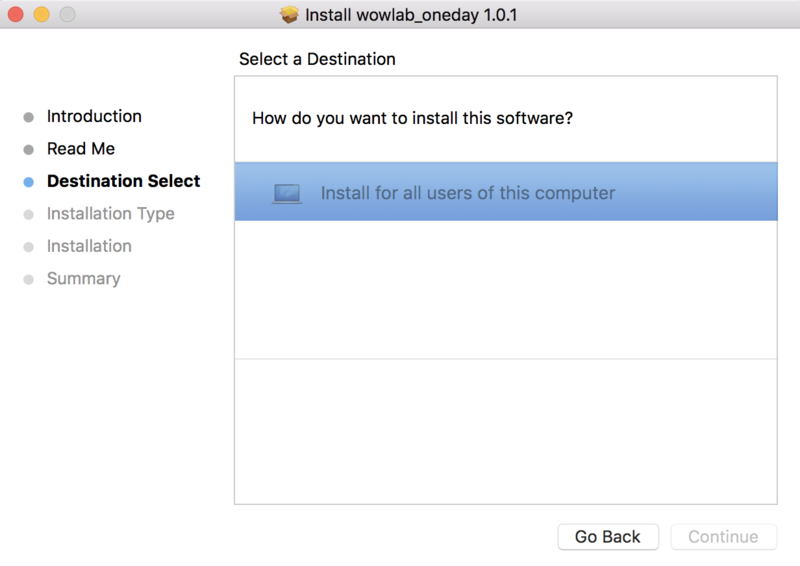 When I expand wowlab_oneday_1.0.1.pkg with Unarchiver, it contains a Resources folder, Distribution file, and wowlaboneday.pkg. This second .pkg can't be extracted with Unarchiver. When I click Show Package Contents, it contains Bom, PackageInfo, and Payload. How can I get the .qtz file out and into /Library/Compositions, presuming that's what needs to be done? So try sudo installer ... -target / instead. If this fails there is also the option of using Pacifist to extract the content of the package and install it manually (or do whatever you like to do with it). Not the answer you're looking for? Browse other questions tagged macos install . Why won't Office 2011 install on Snow Leopard?